How do scrolls work in Deadfire? 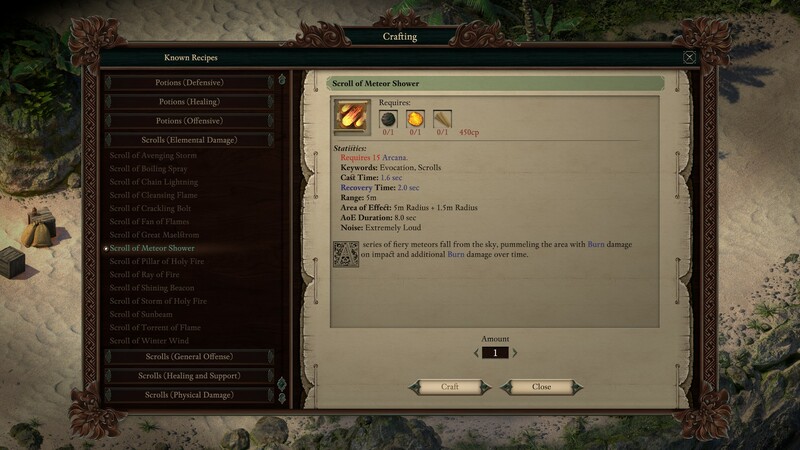 Does anyone know how scrolls work in Deadfire? I'm not watching the streams, but if someone is and can explain it here, I wouldn't mind this particular spoiler. Let's say I want to play a Chanter, could I use scrolls instead of multiclassing with Wizard? I know I would lose some abilities from grimoires and I would need to have high Arcana, but would I have an easy access to wizard spells? Or is it like in PoE1, easy to craft but only specific spells are available for scrolls? I haven't play the game (beta or full) yet. I'm guessing you have to put the scrolls in quick item box in your inventory window. so you could select them during combat. I think OP was rather wondering about the selection of spells available through scrolls; if a chanter with high arcana could be a pseudo-multiclass. Yes, I'm wondering if the same restriction on spells available as scrolls is present in Deadfire. And if it's easy to craft/find scrolls. Well, I'll won't play much until the weekend, so it should become clear one way or another. From what I can tell from the limited streams I've seen, you need skill points in Arcana (which any class can get) to use scrolls, higher level scrolls require more skill points. So yes, I do believe you can use arcane scrolls as a chanter without having to multiclass as a wizard. Imo the spell selection for scrolls in Deadfire is much better than in PoE1. I'll add some screenshots in the first post. Others have confirmed, but yes, works the same as in PoE 1, only you need Arcana instead. There are *alot* more scroll selections in this game than previous one. Last game you couldn't make all the ones you might've found in the wilds, this one...more selection of spells, potions, etc.